I’ve mentioned before how martial arts encourages healthy living. Mark also wrote a great article discussing how the intensity of your training is an important, personal decision. Fitness training is not separate from that rule! Whether a student is a fitness machine, or is new to/returning to activity, there are options to prepare their body for the rigors of training. Injury Prevention: We train as safely as possible. By sticking to techniques and methods suitable to a students’ ability level, we avoid the vast majority of potential training injuries. That being said, it is a martial art, and it i likely that an unexpected impact will occur. If we have any movement issues due to low strength or flexibility, or are losing focus and precision because we are too tired, the chance for a harmful mistake increases. Luckily, it is a proven fact that proper exercise lowers your chance of injury in sport activities (example). You can read a meta analysis exercise methods and injury prevention here. Improved Performance: From improved coordination and balance to more energy on the mat, your fitness level has an impact in the quality of your training. 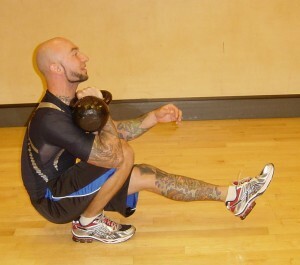 Working on that throw where you have to stand on one leg and squat underneath someone? There is a pretty logical benefit to stronger legs and back here. We focus on our taijutsu (body movement) a lot, so the ability to control your body’s position during a technique is huge! General Well Being: It’s nice when your training doesn’t leave you sore for 3 or four days. A little exercise, even just light bodyweight exercise, walking, and flexibility does wonders for how your body feels on a day to day basis. It’s easier to get to training more often when you feel energetic and lively as opposed to lethargic and sore. Strength: Simply defined, strength measure a muscle’s ability to generate force. That being said, we can look at it as a broader attribute. Often martial arts requires strength to do certain techniques, though it may not be apparent. You need a strong core and legs, for example, to hold your skeletal structure in proper alignment during many throws. Sometimes in groundfighting, we need to sit up into and grab our partner; that requires more core strength, and even grip and back strength. You don’t need a massive amount of strength to be effective, but having some strength helps! You can check out everything from weight training at the gym, to simple bodyweight and resistance band exercises at home. We’re bringing back Yoga to the school in February, which is just one way we can help! For those interested in further reading, I highly recommend checking out Ross Enemait’s website. Ross’s site has a ton of resources, and was a huge part of my early fitness development. In the meantime, you can ask any student at Discovery who has a fitness interest for some guidelines and recommendations. Flexibility: Flexibility is simply the measure of the range of motion around a joint. Everyone has found themselves in positions where a little extra flexibility would be nice! While high flexibility is no substitute for proper technique, it’s helpful in escaping techniques, while also really helping to lower your chances of injury. While dynamic (movement based, like leg swings) stretches are great for warming up, we also have static stretches (no movement; think the classic hamstring stretch) that are great for cooling down. Check out a simple static stretching routine for martial arts by Dr. Jason Gillis Here. We’ll always have warm ups before training that will help you build your flexibility and ROM fr classes. Check out our Yoga class for further flexibility work! Each of the above factors of fitness can be explored into much more detail. Everyone has their own opinion about what is “best, so here is still ongoing debate about how to best attack each factor; the result is a crazy amount of info available! Tell us in the comments what you want to learn more about, and we’ll post some follow up articles addressing your questions. So are you a fitness machine yet? Reading is all fine and good, but action is going to be what’s important here. The nice part about fitness is that the rabbit hole really goes as deep as you want. You don’t have to spend two hours a day in the gym for fitness to improve your life. For those who are new, a simple walking program coupled with martial arts training will constitute fitness improvement, and is a great start. 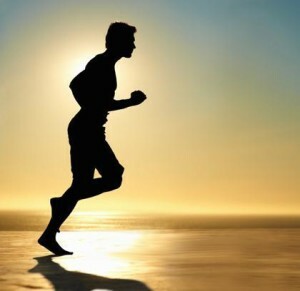 For others who are more fit, you can explore further into a field of exercise that you enjoy. I personally have a huge love for fitness, as it’s a personal and professional passion. I see the need for it in people’s lives. When I see a student improve their fitness, I see it directly impact the range and quality of their fighting techniques. Unsure about where to start? Have a question! Great! Post it in the comments and I’ll make sure it’s answered!